Snapdeal’s decision to end all talks of acquisitions and mergers hasn’t gone down with one of its earliest backers. Kalaari Capital was one of the first backers of Snapdeal, having invested in its Series A round in 2009. In 2013, it owned around 13% of the company, and as of 2017, owned as much as 8%. Kola had often waxed effusive about how much she admired Snapdeal founders Kunal Bahl and Rohit Bansal. “We just thought they were the type of entrepreneurs who had able work experience, were deeply thoughtful, and understood the nuances of what the Indian consumer wanted. They understood the challenges of delivering that in India — be it payments or logistics and service quality and so on. They were ready to take on these challenges and above all, wanted to be market leaders,” she’d said in an interview in 2014. Things sure seem to have changed since then. “My disappointment is also primarily because these actions harm the credibility of our nascent startup ecosystem in India. A company exists for all its shareholders, not just a set of shareholders. If you look at the majority shareholders, what happened today was not in their best interests,” she said today. Kalaari Capital had been pushing for Snapdeal’s sale in order to recoup its investment in the company. It had locked horns with Softbank, Snapdeal’s largest investor, which owns 33% of Snapdeal. Snapdeal’s three primary investors — Nexus Venture Partners, Kalaari Capital, and Softbank — were reportedly initially unable to see eye-to-eye on Snapdeal’s valuation. After much hectic dealmaking, it appeared that a truce had been reached; Vani Kola resigned from Snapdeal’s board in May. 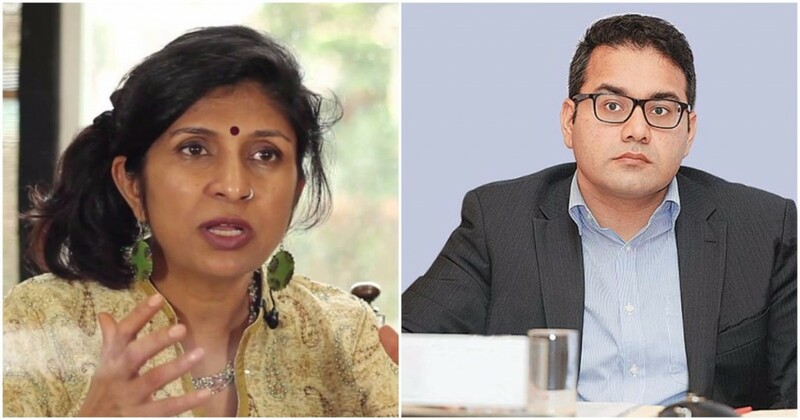 The lack of a board seat meant that she wasn’t in the know when Snapdeal decided to end all talks with Flipkart, and learnt of the news through media reports. But her outburst isn’t exactly going to help Snapdeal’s case. Snapdeal had today boldly announced that it wanted to launch Snapdeal 2.0, and look to chart its own path. But the fact that one of its largest investors is disappointed with the decision won’t inspire its employees with much confidence. Snapdeal was once valued at $6.5 billion; if its earliest investors would rather have the company sold at $900 million than try to live to fight another day would lead one to believe that they expect its value to fall further. Snapdeal 2.0 is already off to a rocky start.